Established in 1973, we, “Shree Rubber Plast Company Private Limited', have emerged as a pre-eminent manufacturer, supplier and exporter of an impeccable array of Plastic Packaging Products. 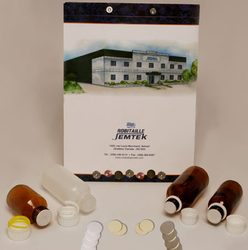 Our organization was started as a trading company engaged in dealing rubber stoppers and small items for pharmaceutical industries. After realizing the immense potential of plastic packaging industry, we started our own manufacturing unit. We use high-grade PE/PET/PP/PS/ABS and other plastic material for manufacturing of these products. We have established a vast infrastructure units at two areas in Mulund and Vasai, out of which one is inside and the other outside octroi limits. This helps us in delivering our products to the clients within and outside Mumbai in committed time frame. We also have an in-house tool room and labeling and printing facilities at both our units. Owing to our proficiency, we are capable of providing products in customized options as per the specifications, provided by the clients. Our competent professionals strive hard to gain the trust of our clients, spread all across the nation especially in Indian Subcontinent. We are also the sole distributor of liners for Africa, Asia and Middle East region of M/s. Robitaille Jemtek, Canada. Furthermore, we are engaged in research & development, designing, manufacturing in all plastic packaging Items. Now, we are wishing sole indenting agency for newly innovative design in plastic packaging products from reputed manufacturers of agro, oil, food beverages, pharma and cosmetic industries. Under the guidance of our mentor, “Mr. Shrenik R. Dalal”, we have been able to meet the emerging requirements of the clients. His entrepreneurial skills and managerial abilities have made us the privileged successors in the market. We are a renowned manufacturer, supplier and exporter of a comprehensive gamut of Plastic Packaging Products (both injection & blow molding). These products are manufactured employing superior quality, such as PE/PET/PP/PS/ABS and other plastic material. Our range caters to various industries, such as agro chemical, lubricant, fine chemical, pharmaceutical, diagnostics, cosmetics and consumable. 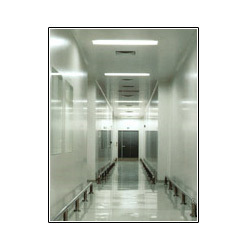 Products offered by us, are highly durable, leak-proof and excellent quality. Our range is available in various sizes, ranging from 2.5 ml bottles to 50 liter drums and jerry cans. We also have an inventory of 600 blow and injection molds of attractive shapes and sizes. Following are the products offered by us. Kindly refer the attached PDF for the same. We are the sole distributor of liners for Asia, Africa and Middle East region of M/s. Robitaille Jemtek, Canada. We are in a position to supply you quality liners at very competitive rates provided we have bulk requirements.